Well, duh. If I’m watching a sped-up instructional video of how to make a Thanksgiving dinner and the video is a minute and a half long of course I’m going to feel pretty invincible. Kind of the same way I feel when I watch “Fixer Upper” and Chip and Joanna Gaines (love them!) transform a wreck of a house into the prettiest home ever. It’s dangerous watching a marathon of “Fixer Upper.” I have to flip the channel before I hop on the next flight to Waco and decide to live there. I almost did that when I saw the Gorman Avenue restoration (Google it!). That was the episode where they referred to the before version of the house as the haunted house. It really was scary and uninhabitable. What wasn’t scary was that the buyers purchased it for $24,008. When they finished the restoration it was worth a lot more than that. The house was amazing and I wanted to live there. I am obsessed with the show. These mini muffins would be perfect to pop in your mouth as you watch episode after episode of “Fixer Upper.” They are so tiny and cute you won’t realize you’ve had almost a dozen by the time Joanna Gaines welcomes the buyers to The Farm and shows them her beautiful designs and gives them three extra options because there’s a little more room in the budget. The mini muffins are also perfect when you want something sweet, but don’t want to hate yourself after. There isn’t any flour in the recipe and one of the best parts are that they are sweetened with honey and not sugar. The recipe calls for peanut butter, but almond butter is equally good. True to the video, they are really easy to make and everything comes together quickly in your blender. How cool would it be if Chip and Joanna were reading this and decide to make these muffins for their new bakery, Magnolia Flour? Googling flights to Waco now…. 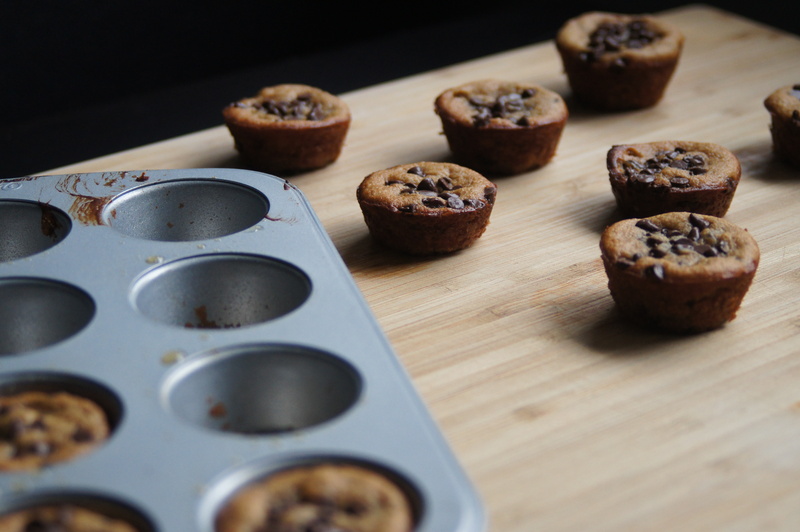 Preheat the oven to 400 F. Spray a 24-cup mini-muffin tin with non-stick spray. Add the banana, egg, peanut butter, honey, vanilla, baking soda and salt to your blender jar. Blend until a smooth puree. Stir in the chocolate chips. Reserve 2 Tbsp of the mini chocolate chips for topping the muffins. 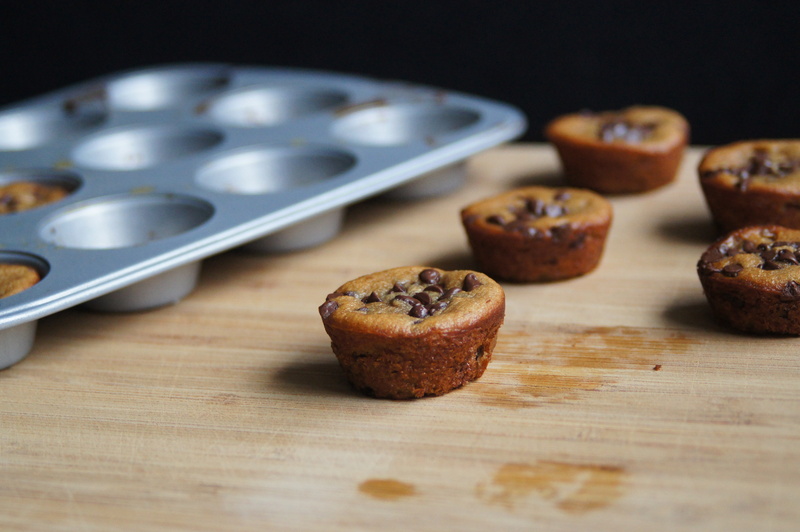 Pour the batter into the mini-muffin tin, a little more than half-way full. You should be able to fill all 24 of the muffin cavities with batter. Sprinkle the remaining chocolate chips on top of each muffin. Bake in the preheated oven for 7-9 minutes, or until the muffins are brown around the edges and if you stick the middle of a muffin with a toothpick, no crumbs cling to the toothpick.